Alessandra Tarquini est professeure associée de l’université de Rome “La Sapienza”. Elève de Renzo de Felice, elle a également étudié avec Emilio Gentile et Gaetano Calabro, et a été boursière de l’Institut italien pour les recherches historiques. Spécialiste de la culture et de la politique italienne du XXe siècle, elle a publié des monographies et de nombreux articles, dont notamment Il partito socialista fra guerra fredda e “questione ebraica”: sionismo, antisemitismo e conflitto arabo-israeliano nella stampa socialista, dalla nascita della Repubblica alla fine degli anni sessanta, in Ebraismo, sionismo e antisemitismo nella stampa socialista italiana dalla fine dell’Ottocento agli anni Sessanta, a cura di Mario Toscano,Venezia, Marsilio, 2007, pp. 161-232 et plusieurs articles du Dizionario biografico degli italiani. With 38,000 students (including 3,900 foreign students) and 3,750 staff, 50% of which is dedicated to research, Université de Nantes has never stopped moving forward. In the last 50 years, Université de Nantes has taken education and research to the highest level. Facing a rapidly changing world, Université de Nantes invents a new model of university. This model places the student at its centre and, more than ever, the human being at the heart of its ambitions. Rooted in Nantes – a city renowned for its vitality, culture, economic development and its quality of life – Université de Nantes radiates also thanks to its 2 campuses in Saint-Nazaire and La-Roche-sur-Yon. The Centre de Recherches en Histoire Internationale et Atlantique (EA 1163 – Universités de Nantes et La Rochelle) is a research centre who gathers together 50 researchers et 90 PhD students in ancient history, medieval history, early-modern history, modern/contemporary history, humanities and language. They work on a five-year global project: “From the world to the Atlantic, and from the Atlantic to the world: the processes, spaces and actors of international exchange from Antiquity to present”. The CRHIA research centre is coordinating the LabEx EHNE, Ecrire une histoire nouvelle de l’Europe, theme 4: “Europe, the Europeans and the world” which focuses on the relations and migrations between Europe, its fringes and the world. 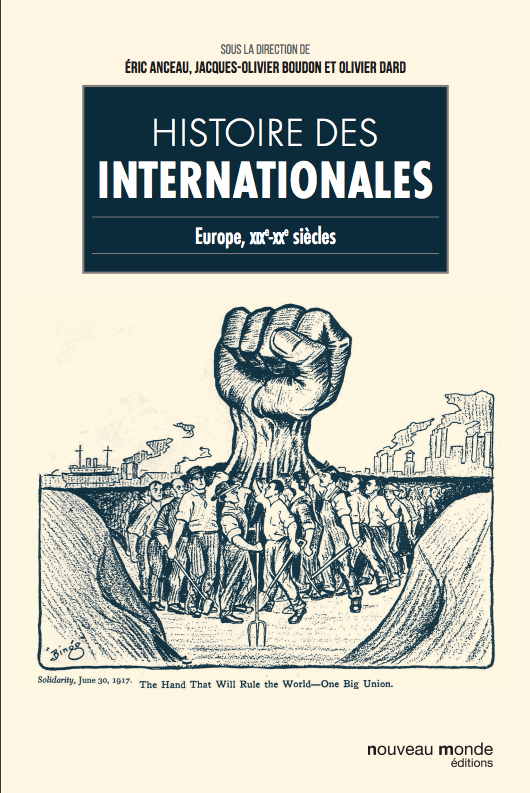 The Centre de Recherches en Histoire Internationale et Atlantique is a member of the GIS Institut d’études Européennes et globales Alliance Europa: a collective strategy to study societal, cultural and political challenges Europe has to face in times of crisis and in the context of the globalization. The overall objective is to rethinking the European integration process taking into account the globalisation and its impacts on the European society. The postdoctoral fellow will work in conjunction with the Schengen chair hosted by Alliance Europa. The Institut d’études européennes et globales, the CRHIA research centre and the LabEx EHNE are working on a research programme dedicated to the history of the Schengen Area by creating a chair under the responsibility of Michel Catala, Professor of Modern History at the Université de Nantes and Director of Alliance Europa, and Yves Pascoua, PhD in European Law and associated researcher at the Université de Nantes. The postdoctoral fellow will integrate this team. The history of the Schengen Area, from its origins before the treaty signing in 1985 up to its integration in the Amsterdam Treaty in 1997, is not well understood. This project aims at writing a new history of free movement in Europe, about its actors, the resistances to overcome, the institutionalisation processes and the consequences on the Member States legislation and customs, as regards open internal borders and external borders control. The postdoctoral researcher will work on the dynamics linked to the Schengen project, its strengths and weaknesses, the difficulties and the oppositions to overcome and the actors’ involvement. The postdoctoral fellow will have to lead documentary research in German, French and European Archives and to participate in the preparation of a collective publication. He/she will also contribute to seminaries and workshops animation. PhD in Modern History, maximum 3 years of experience after thesis defense1. An international experience in research is required (during or after Doctorate). Candidates must not have supported their thesis in the hiring institution and not previously worked in the host research unit. Autonomy, conscientiousness, networking and team spirit. Applications will be considered by a selection committee, who will organise hearing in October, 2017. This Fellowship is cofunded by Université Bretagne Loire and the LabEx EHNE. The Université Bretagne Loire federates 7 universities, 15 “grandes écoles” and 5 research organisations in the West of France (Bretagne and Pays de la Loire). This community of universities and institutions aims to develop the scientific and academic potential of this territory at national and international level. The LabEx EHNE theme 4 is led by the CRHIA, member of the GIS Institut d’études Européennes et globales Alliance Europa. The postdoctoral fellow will work in conjunction with the Schengen chair, granted by the Institut d’études Européennes et globales Alliance Europa and hosted at MSH Ange Guépin (Nantes). L’idée d’Europe traverse, de manière explicite ou implicite, l’élaboration du mythe de la chrétienté médiévale et son usage politique, par la culture et le magistère catholiques au xixe siècle. Leitmotiv commun, la mise en relief du rôle de l’Église catholique dans la formation de la civilisation européenne sert cependant de fondement à des revendications opposées : de l’exigence d’un accord entre la religion et la liberté, à celle de reconduire l’organisation sociale sous la direction de la papauté.